Squares, triangles, right angles and straight lines are each concepts of geometry. They also happen to be basic architectural concepts incorporated into houses, schools and other buildings. For the second year in a row, third-graders at Forest Hills School in Western Springs were able to gain a hands-on understanding of how geometrical and architectural concepts work together. The exercise uses a software program called SketchUp, with instructions in using the software provided by Oak Park architect Mark Klancic. The students at Forest Hills School really enjoy the program, said third-grade teacher Nancy Caris. “They say ‘oh, wow, that was really neat’ after they’re done,” Caris said. Students created three-dimensional representations of their own houses, and placed them in various locations surrounding a visual representation of their school. During a second exercise May 10, students will be able to add more details to their model drawings. “Before we go into the computer lab, the students are presented with the concept of perspective, visual perspective in 3D,” Klancic explained. Caris said students use line segments and parallel lines in their designs. 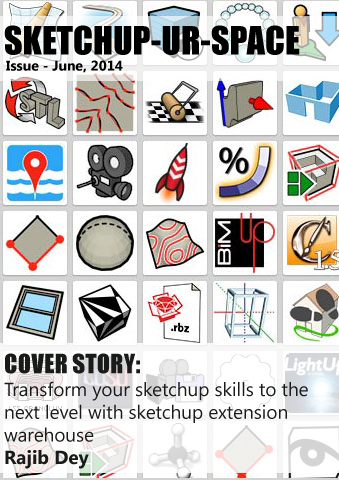 Even as freeware, the SketchUp program includes a broad variety of features that allows students to add realistic touches to their model houses. However, several students engaged their imaginations to create structures that included embellishments not always seen in actual home construction. “Some are pretty wacky; some are straitlaced but a few really stand out,” Klancic said. As a professional architect, Klancic was familiar with the SketchUp program and its potential.